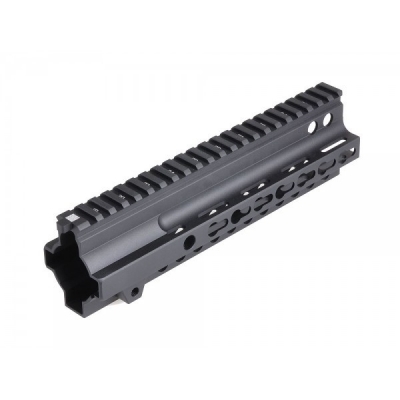 Madbull CRUX Keymod Handguard for 416 Style - 9 inch. 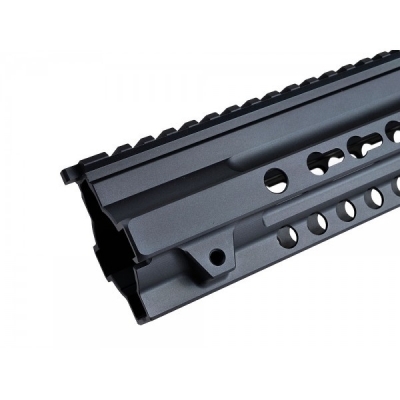 Designed by Strike Industries to be an adaptable HK416 rail, this Airsoft replica version by Madbull offers the same lightweight and mounting abilities offered by its real counterpart. 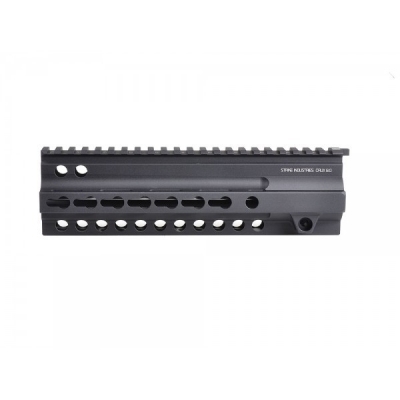 The Madbull Airsoft Crux rail, officially licensed by Strike Industries, offers the unique “crux” design for ergonomics and Key Mod sessions at the 3, 6, and 9 o'clock positions. If you're the person that lives by the saying ounces equals pounds and pounds equal pain this is the rail for you. - Anodized aluminum for a more serious feel and appearance.